Longtime readers of this site know that I'm a big David Mead fan, but his last release, 2009's Almost and Always, left me a little cold. It was an admirable effort as Mead's songwriting skills continued to shine, but musically it was a bit too subdued (no pun intended). 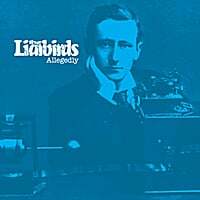 So I was excited to hear that he enlisted the help of Fountains of Wayne's Adam Schlesinger (who produced his 2001 release Mine and Yours) for this record, hoping he'd return to a more upbeat - dare I say - power pop sound. And for the most part my hopes have been fulfilled, as Dudes may be Mead's most consistently engaging album since his audacious 1998 debut The Luxury of Time. When he's at his best, Mead can seamlessly transition from a power pop gem to a brilliant ballad that sounds like a standard to what almost seems a showtune and back again. "I Can't Wait" opens the disc, and it's a fine midtempo number with a rolling melody that's reminiscent of the style found on his 2004 album Indiana. "King of the Crosswords" follows, and it's a rousing pop tune (complete with sax) about a crossword puzzle prodigy. Another standout is "Guy on Guy", which finds Mead at his lyrical best about a man who finds himself attracted to other men and features an old-time melody and a playful trombone. "Bocce Ball" is a quick 2-minute ditty with a Latin lilt that's insanely catchy (try getting its "bocce, bocce, bocce ball" chorus out of you head). The title track is another highlight; although the word "dude" begs not to be taken seriously, the song itself is a mature, melodic track and one of Mead's best. The second half of the disc starts off in power pop mode with "Happy Birthday, Marty Ryan", probably Mead's most electric guitar-centric song in years, and also features "No One Roxx This Town No More", a R&B-inflected, ultra-catchy pop number that's of a piece with "Chatterbox" off 2006's Tangerine. And the holiday-themed "The Smile of Rachael Ray" is the kind of "instant classic"-sounding tune that seems to come second nature to him. The album closes with another winner: "Knee Jerk Reaction", a Paul Simon-like number reminiscent of "Me & Julio Down by the Schoolyard". Dudes is a welcome return to form for Mead, and without a doubt one of 2011's best. Also, it's highly worth your while (especially if you're relatively new to David Mead) to pick up this free 25-song sampler from Noisetrade, which features many of his classic tracks, some fine unreleased material, and the title track and "I Can't Wait" from Dudes. 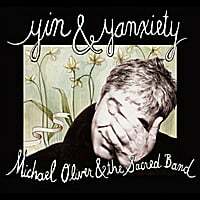 Michael Oliver & The Sacred Band-Yin & Yanxiety. Boston's (by way of Buffalo) Michael Oliver has an interesting resume that includes time in a 90s power pop band (Buffalo's Go, Dog, Go!) and a graduate degree from Harvard. So it's no surprise that his latest effort with The Sacred Band, Yin & Yanxiety, boasts both a clever title and intelligent lyrics. 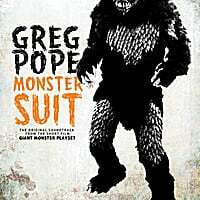 But what makes it potentially one of 2011's best are the great tunes and consummate popcraft that he displays here. Oliver displays a variety of pop sounds here - the Matthew Sweet meets Tom Petty opener "Complicated", the Brian Wilson-inspired "Neverlast", and the twee indie pop of "Tell Me What You're Dreaming". But where Oliver finds his most consistent mark is when he goes with straight-up, melodic mid-tempo pop in the vein of Michael Penn, Cliff Hillis and David Grahame with tracks like "Love While it Lasted", "Little Miss Oblivious" and "Stranger from Another Planet". And the best part of all is that there isn't one clunker among the 13 tracks here. I'll close by saying that you should be yanxious to get this one added to your collection. 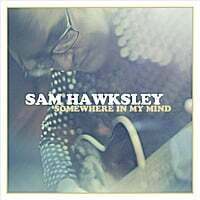 Sam Hawksley-Somewhere in My Mind. Aussie Sam Hawksley has been a consistent purevyor of catchy folk/pop/rock for several years now, but his fifth and latest album might be his best. This may be the result of much of the album being recorded in Nashville, and at times it's reminiscent of another Aussie-gone-Nashville, Bob Evans. The bright, engaging "Thinking About You" is an excellent opener that fits Hawksley's strengths, and "Flying High in the USA" has a bit of a Jayhawks feel to it. Meanwhile, "She's Out Breakin' Hearts" is a fine Tom Petty-style rocker, "Save My Life" boasts a great guitar hook in the chorus, and "Stranger to You Now" and "I Wish" feature some excellent harmonies from Kim Richey and Hillary Lindsey. If you haven't been familiar with Hawksley's fine catalog until now, this is an excellent place to start.